​to instantly neutralize painful trigger points. 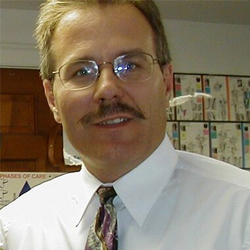 Dr. Cayer may be able to eliminate your CHRONIC PAIN forever! Most chronic pain is CAUSED by GROUPS of painful individual trigger points which collectively produce a "Looped" pain signal to the brain that remains "ON" and perpetuates the overall chronic pain condition. *After a pathology or emergency situation is ruled-out, PNT has been shown to benefit a wide variety of chronic conditions: migraines, TMJ jaw pain, vertigo, GERD, IBS bowel issues, sciatica, post-surgical residual pain, knee pain, old sports injuries, back pain, hip pain, stenosis, joint pain, sacroiliac & coccyx tailbone pain, neck pain, tendinitis, wrist, hand & finger/thumb pain, foot & ankle pain, swelling, elbow pain, fibromyalgia, shoulder & trap pain, groin, abdominal & pelvic pain, neuropathy, radiating pain and limited ranges of motion. just as you turn-off an electric light with a related switch. TPNT does NOT involve chiropractic adjustments or any forceful pressure. 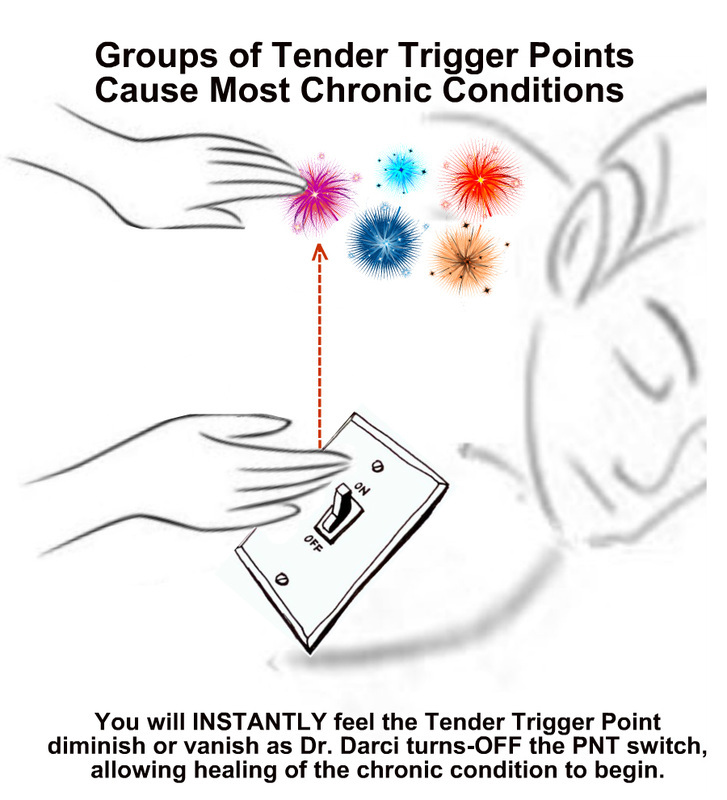 TPNT is NOT traditional trigger point therapy which is painful grinding on the tender area. During TPNT treatments, you will INSTANTLY feel the trigger point pain diminish or vanish! "It's Gone!" and "You must not be pressing the trigger point anymore!" TPNT is neurological (nerve-based), so you feel the change IMMEDIATELY in the trigger point. TPNT engages an automatic nerve-reflex (a switch). The switch resets the brain's communication with the trigger point. TPNT interrupts the stuck pain-loop, just as you would re-boot a stuck computer. 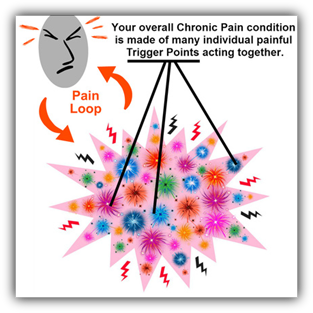 An accumulation of painful trigger points often leads to chronic pain conditions. the overall chronic pain condition begins to improve, generally in just a few treatments. ​overall chronic condition can often be immediate and dramatic. See the testimonials, but you will not believe it until you feel it for yourself! "I have never been one to sensationalize...I can't guarantee results because this technique may not work for everyone, but I have never seen anything like TPNT...it is truly amazing! In my dad's office as a child, I learned to find painful trigger points by touch. Now, thanks to TPNT, I can TREAT the painful trigger points that I find. To my surprise, for the first time in my life, I actually feel the trigger points "dissolve" under my fingertips!"